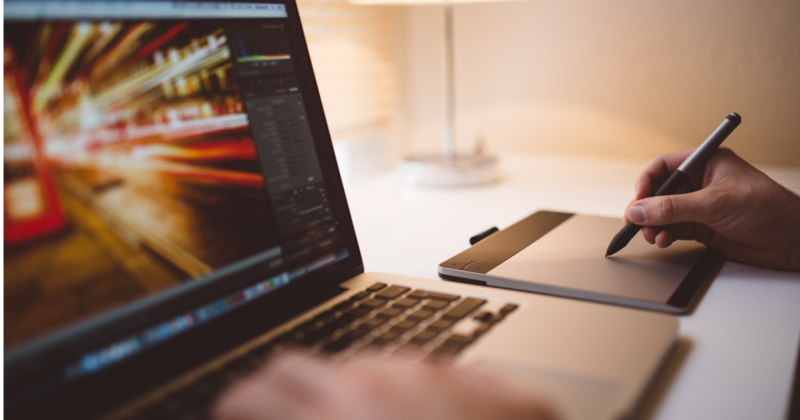 Local SEO is a must for any business with a physical location that expect customers to visit. It provides low hanging fruit that can essentially put you on page one of Google's search results without a huge amount of effort - a goal that would normally be totally out of reach for most small businesses in competitive industries. More than 50 percent of Google Search queries are carried out with local intent, as Google and other search engines sort location-specific businesses into localized search results. These results have much less competition than you would find in the country/global level search results, but it takes a few smart steps to rank at the top of them. One important step is to enter your business in local-business listing sites. In this blog we will look at ten directories that can help you on your way to the top of your local game. NOTE: It is important that you manually list your business in these directories by choosing the right business categories and entering consistent information throughout all the directories. Also, while most directories do not pass link juice to your site, search engines such as Google still consider them when ranking local results. Google My Business is a great starting point for any local SEO campaign. Google uses information from Google My Business pages to populate its knowledge graph (the branded information often shown on the right of the SERPs for branded searches), as well as the local pack results, which appear at the top of the local search results. Google My Business allows you to manage your business listing, Google reviews (which often show as part of the local search results as stars) and monitor traffic and engagement to your page. 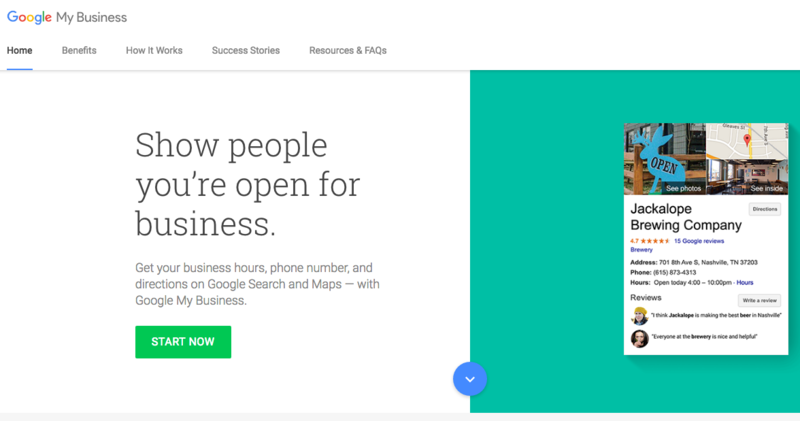 It's free, easy to use and will help people to find your business on a map, as well as provide signals to Google to help you show up in local search results. Fill in your local business information and be sure to use a single version of your Name address and telephone number (NAP) whenever citing your business online. You will need to verify your account by providing a PIN number that will be sent to your physical address. You must enter the PIN in your Google Places Dashboard for business verification. 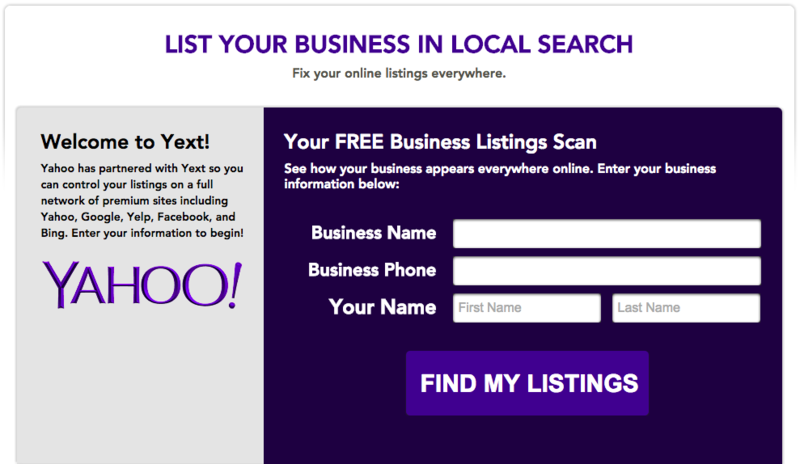 Yahoo Local Listing is a great free service that displays your local business address, phone number and URL and gives you the option of choosing up to five business categories. The basic free listing can include additional information such as working hours, email address, payment options and years in business, and you also earn a link to your site. 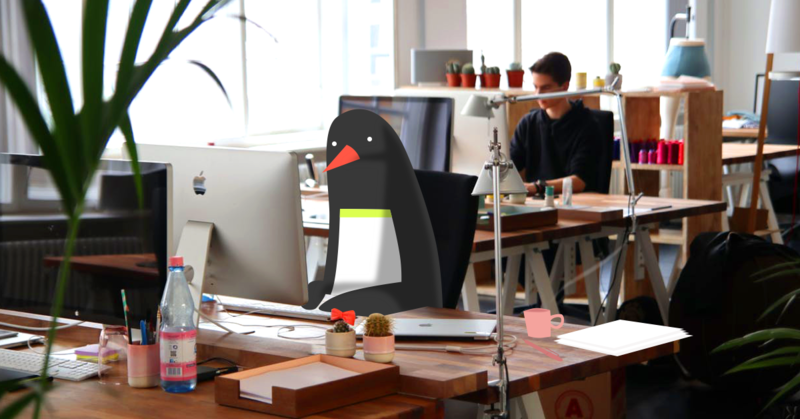 The paid listing option, which costs $9.95 per month, gives you added advantages; you can see the number of times your listing was viewed, you can upload one small photo onto the business detail page and ten large photos onto a separate page, and you can use up to two text links in search results. To sign up, you need to have or create a Yahoo ID. Yelp has a large user-community which is independent from popular search engines. Hence, it is necessary for your business to feature on Yelp in order to gain attention from this completely different and targeted audience. A Yelp business account directs textual and visual representation of your business to the categories of Yelp users that are most likely interested in your business. You can also add a link to your website on your Yelp profile and there is no limit to the number of business photos you can upload. Yelp allows for customer reviews and gives you the option to respond to them. Moreover, you also get personalized analytics to monitor the traffic. 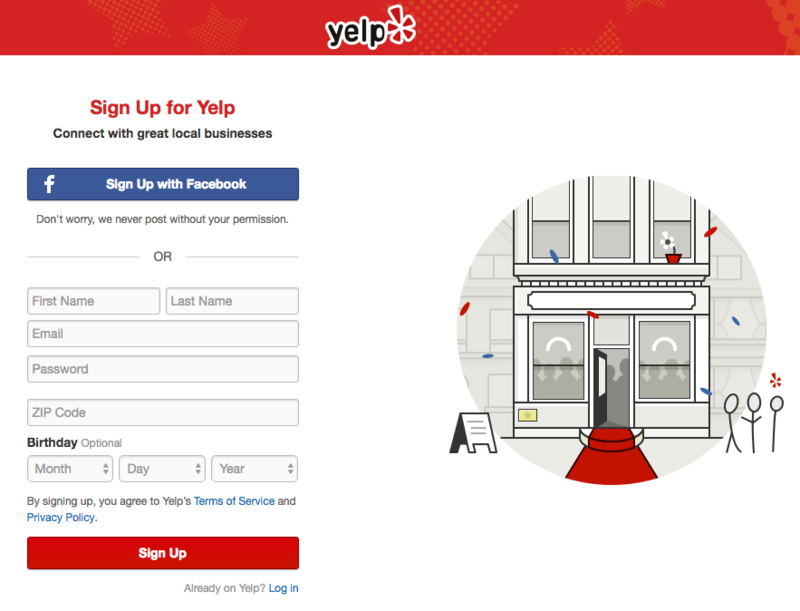 Before you sign up, check to see if your business is already listed on Yelp. 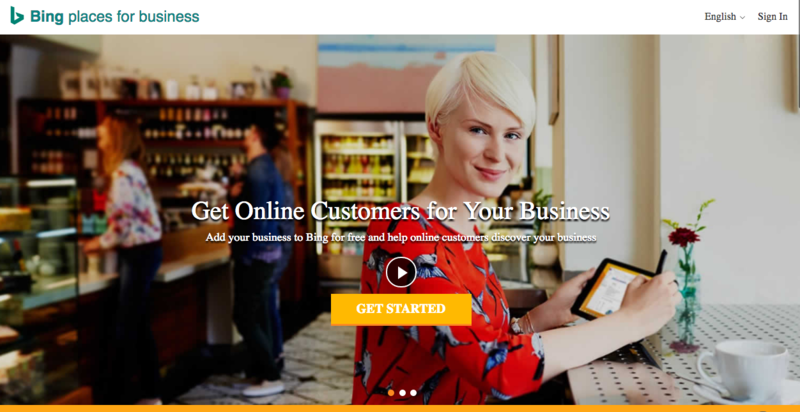 Sign Up for Free to either claim your existing business listing or create a new one. 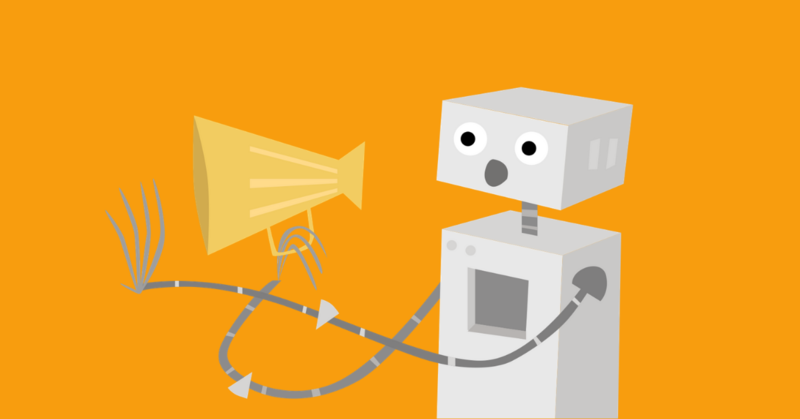 For local businesses, being listed on Bing is as important as being listed on Google+ Local. You can claim your business listing that already exists or create a new one by clicking on the Get Started Now link shown in the screenshot below. To create a new listing you need to sign up for a hotmail account. After you pass through a series of steps for registration, you will be prompted to enter your contact information and communication preferences. Once you have accepted the terms and conditions, (called the Bing Business Portal Offer Guidelines), you will be prompted to fill in information about your local business, such as, name, address, city, state, business email, Facebook and Twitter address, zip code and a logo. In the subsequent steps there is an option to have a free mobile website and QR code. Your listing is finally verified by means of a postcard sent to you at the address you register your business with. 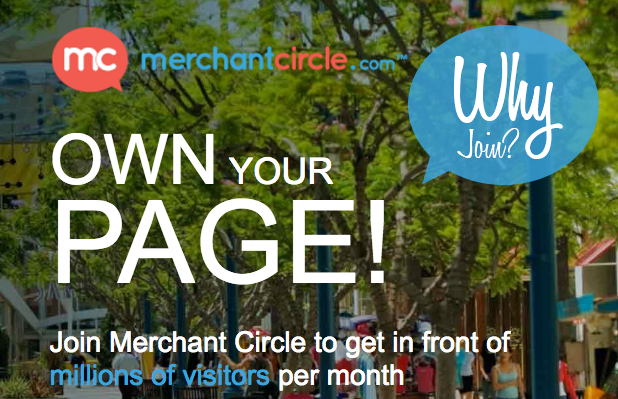 MerchantCircle is a popular free American local-business listing service. It retrieves information from yellow pages listings. Check to see if your business is already listed by clicking the business page and finding the 'Is This Your Business Listing?' option on the blue box at the left column of that page. After signing up you get to access a comprehensive dashboard on your account that has plenty of editing options to add and modify your business details. The dashboard consists of options such as a blog, products and services, sales, deals and coupons, newsletters, pictures, videos, widgets, answers and advertisements. With a MerchantCircle listing you can network with other businesses and engage with potential contacts in your niche. Most importantly, this site allows you to post a link to your website, thus providing a high quality inbound link to your site. Local.com is a search engine that lists local US businesses and currently is home to 16 million business listings. You can claim your business listing if it already exists on the local.com database or create an entirely new listing for free. Infogroup has a massive database of businesses in the US and also partners directly with top search engines and local business directories to provide information on local businesses. 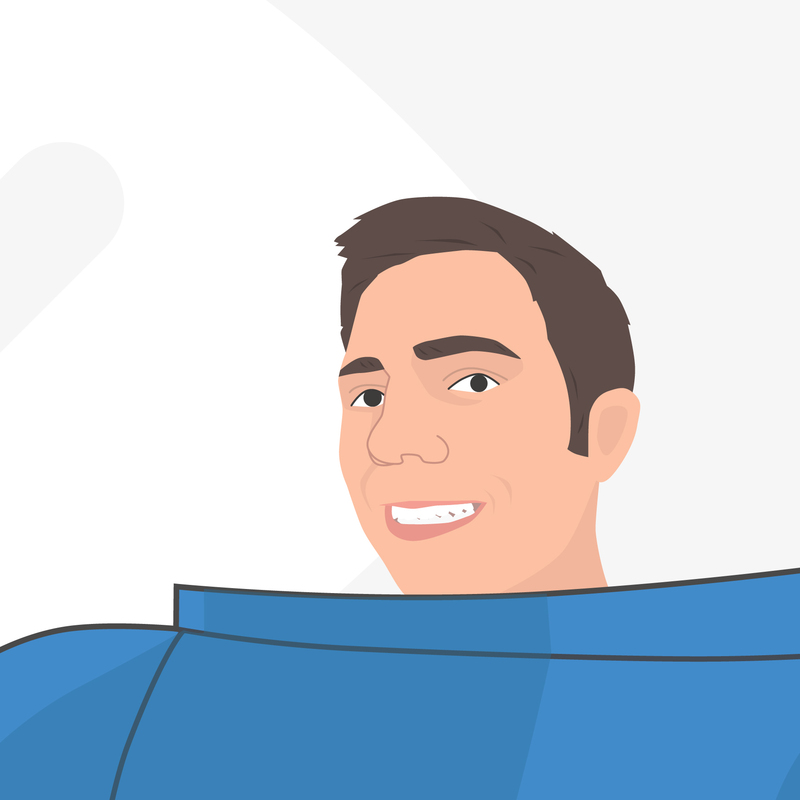 By claiming and optimizing your listing on ExpressUpdateUSA.com (previously known as InfoUSA), you can improve your position in localized SERPs. To get listed, you must first check your business listing and claim your business if it already exists on the database. 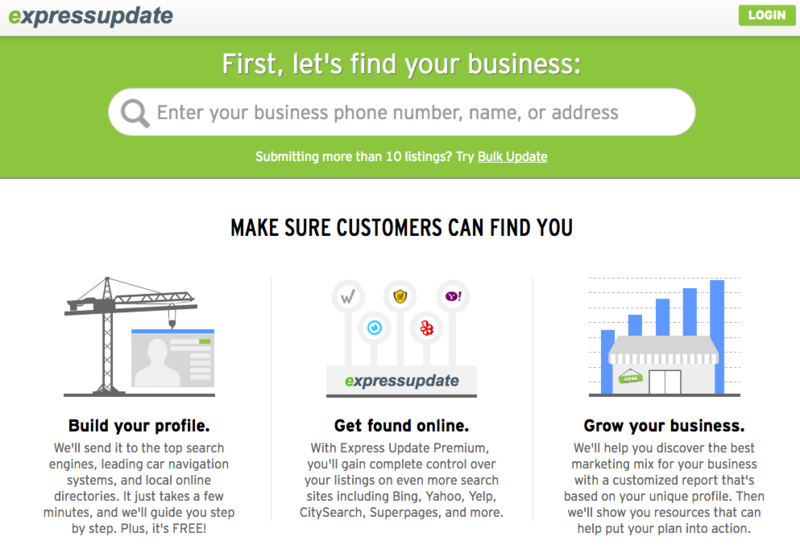 Create an account for free with ExpressUpdateUSA and add the same business details that on your website. Here is the categorized database of businesses according to the city and state they are located in. This is a fairly new business listing site but popular among users to find health and medical services, home and garden businesses, hair and beauty services, auto services and pet related business listings in the US. The live business page includes your local business contact information, physical address (the same as that on your website), hours of operation, business description, Google Map marker, plenty of reviews with star ratings and a Facebook Like button for users to 'like' your business listing. You can add up to 20 images. 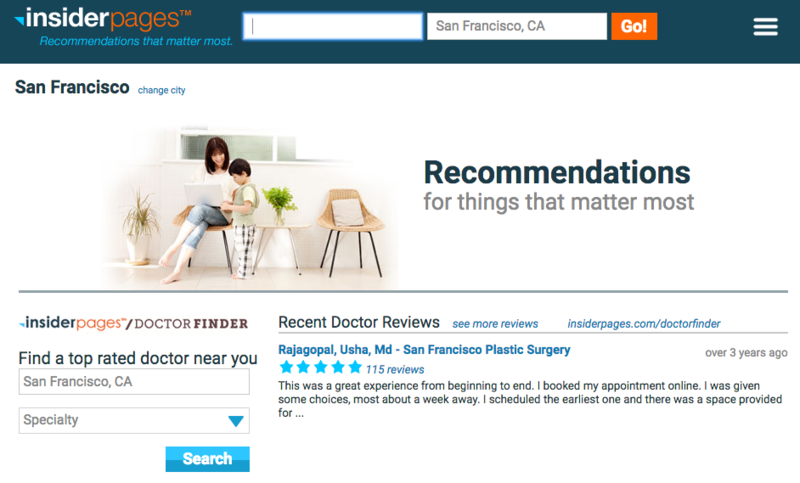 Most importantly, your business page on InsiderPages allows you to provide a link back to your website. Although featured at the end of this list, FourSquare is no regular business listing platform but a mobile application that is the fastest growing small business mobile marketing platform. It provides businesses with free listings that connect to a widespread range of smartphone users who check-in to physical business locations. This application is not limited to US businesses alone but has an ever-growing community of 25 million users worldwide. It provides free tools that allow you to engage with your customers and fans. 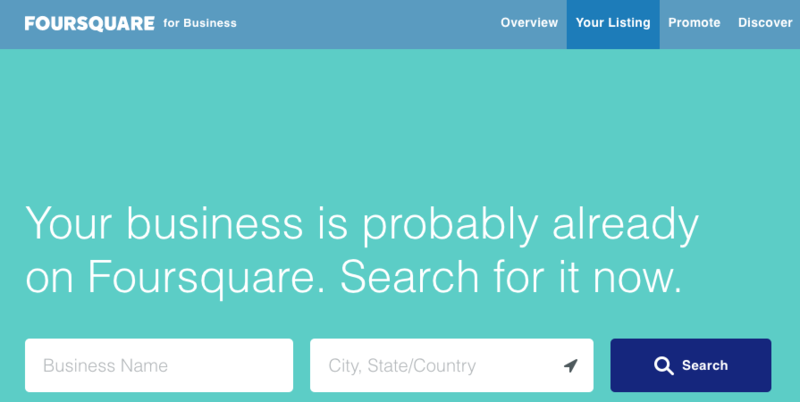 Claim your business on FourSquare and get started with a FourSquare business account for free. The Merchant Dashboard on FourSquare allows you to keep tabs on daily check-ins via the app, recent visitors and many more things. HotFrog has listed over 70 million businesses in 38 countries. It is a brand well-known among businesses as well as users around the world with the many country-specific versions of HotFrog business listing sites available. The site provides with reporting tools that helps track activity on business listings. 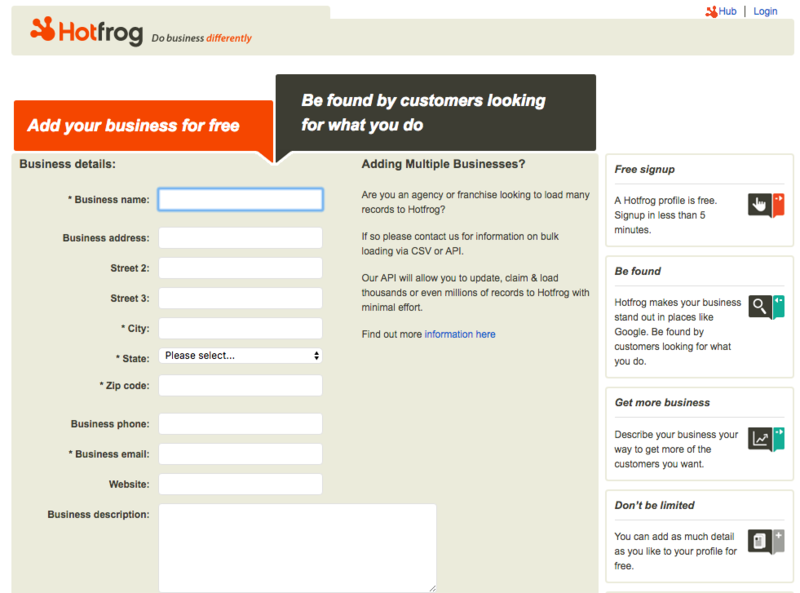 To get more information about HotFrog profiles check out their section of how-tos.